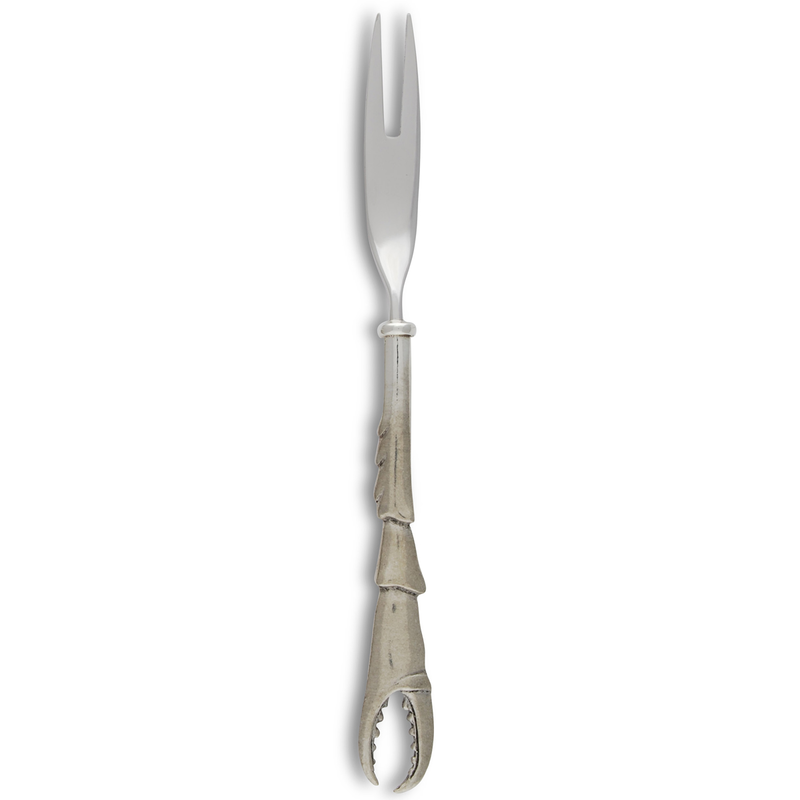 Give your dining room an oceanside update with the Crab Claw Hors D'oeuvre Fork. Crafted with a cast pewter handle cleverly designed as a king crab claw, this hors d'oeuvre fork makes a beautiful accent. This coastal kitchen decor ships from the manufacturer. Allow 3 to 4 weeks. Cannot express ship. For additional items, we ask you to take the occasion to explore our entire assortment of coastal kitcen decor at Bella Coastal Decor today.